This Saturday marks the first day of fall. Or, as I like to call it, winter-light. Jokes aside, I appreciate everything that comes with autumn (crisp leaves, Halloween, Thanksgiving) and the fashion I’ll finally be able to wear, from cozy cardigans and chunky knits to knee-length boots and decorative neck scarves. Although I’m not so keen on having to layer clothes in a such a way where I’m not too warm while walking outside, but also not too cold when the nights start getting a bit windy and temperatures lower. It’s a balancing act, for sure, and one I sometimes don’t get right. In fact, there have been plenty of moments in my life where I’ve gone and bought what I thought was the perfect jacket, thinking it would provide just enough warmth for times like this, only to wear it and start sweating profusely within a couple of minutes because I’m overheated. So this fall, I’m going to be more strategic with how I dress and only really utilize the clothes I already own before I buy anything. That said, while it’s more than possible to make a lot of your typical summer wares work for the fall, not everything you dress in for the summer is suitable to wear when it’s chilly outside. That’s why I’m doing a closet edit this weekend. 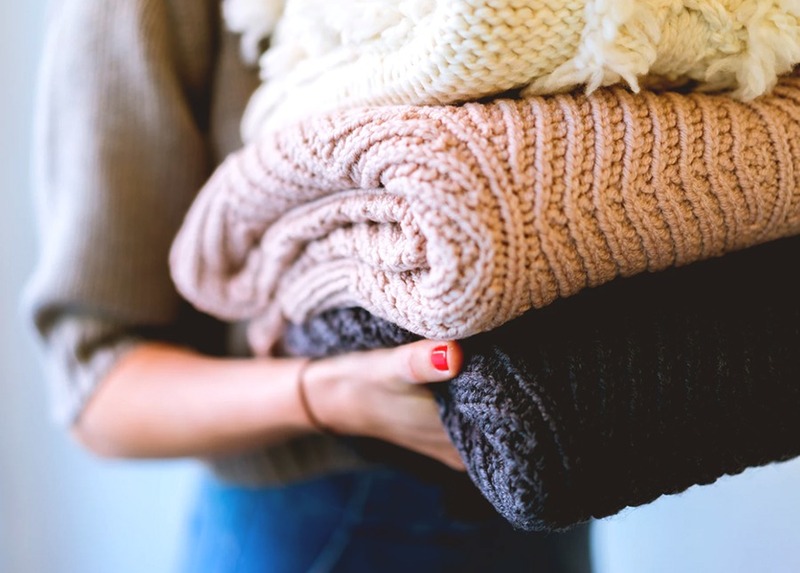 This entails swapping out items that can only be worn when it’s warm for things that are great for the breezy, less-than-sunny weather, and putting all of the pieces that are good for layering toward the front of my closet. But that’s not all I’m doing. Ahead, here is a rundown of all the ways I’m revamping my closet for the fall on a budget. I know I said there are some summer items that just won’t cut it for the fall, but most things, in my experience, once paired with thicker layers underneath or on top, are totally fine for the cool weather. I’m a huge lover of dresses and while I can no longer have my legs on display when it’s cold out, I can still wear them. I just have to put on stockings and wear a shirt underneath. I really like the look of a plain t-shirt under slip dress, so it works perfectly for me. This year, I’m making a point to fix a lot of my shoes that are still wearable, rather than opting for new ones as I always do when fall comes about. I have some knee-high boots from Torrid that I love but wanted to throw out because they have some scuffs here and there, and aren’t as chic as they once were. Luckily, I’ve since come to my senses, and instead of trashing them only after having them for a year (would have been a waste of $100, honestly), I’m getting the bottoms resoled and leather polished at my local shoemaker who is a wizard at beautifying old pairs of shoes. My mom has gone to him plenty of times, and each time he has done amazing work on her footwear. So I’m going to give him and a try, and if all ends well, I’ll be bringing the rest of my boots that need a bit of love. I’ve already extolled the benefits of doing closet swaps before in my story about why hating fast fashion is a privilege, but it’s worth mentioning again. In the next week or so, I’ll be exchanging some items with a friend of the same size, which in turn will not only give me new threads try out but also make me more creative with the kinds of outfits I come up with. And sure, while you can consider this cheating on what I’ve set out do to do (I did say I was only going to make use of clothes that I own), I’m not spending any money from this exchange. And that’s the purpose of this entire mission: to spend little to no money while creating a fall wardrobe for myself. It’s tempting to go on a big shopping spree whenever a new season arrives, but it’s financially unwise and wasteful to do that. Plus, if I do that each and every time the climate changes, I’ll no doubt end up with heaps and heaps of clothes I either never wear or only wear once or twice before forgetting about it or disliking it in time. So it’s best to get the most mileage of what I have already, and just come up with new and weather-appropriate ways to wear my clothes. Most of it is in good condition, anyway, or can easily be repaired like new. With some ingenuity, creativity, and layering, you can pretty much make anything work in all sorts of temperatures. And that’s what I’m doing this fall while saving money, too.